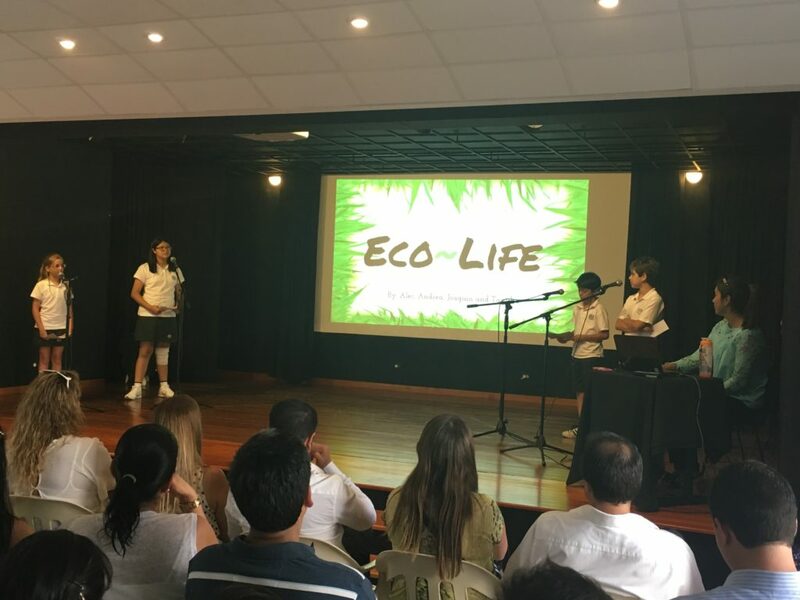 Last year at Newton College, the PYP exhibition took on a whole new meaning by going further than incorporating the elements of inquiry, action and reflection; we also embraced transdiciplinarity, technology and design, and sustainability. Falling under the transdisciplinary theme Sharing the planet, we decided at the end of the 2015 academic year that the central idea for the exhibition in the following year would be: Organizations have responsibilities to sustain the future of the planet. During the course of the units prior to the exhibition, we began to reinforce the concepts, knowledge, skills, attitudes and action that students would need for this final celebration of learning. One of the main changes that we have been working within our whole school curriculum is the concept of students as designers. We also work hard to make sure that our summative assessment tasks are both authentic and show understanding of the central idea. With these two goals in mind, the exhibition was the perfect opportunity for students to design and build their own sustainable businesses, products and services to solve a problem they had learned about. Thinking from an economics and mathematics transdisciplinary perspective, we worked with the students on the chain of production, supply and demand, profit and loss. They learned how to use a design-thinking model to identify and create solutions, products and prototypes. Students worked on marketing pitches in English and wrote mission statements for their companies. In drama students practiced using tone and body language to make their messages as convincing as possible. In Spanish they described the process of production of their products and services. The art department helped students to design their company logos. And, of course, what company would be complete without its own web page? Students chose a world problem they were interested in finding out about and that a business could solve. Using the key concepts, they developed 8 questions about their problem. This independent inquiry led to small group decisions about which local or national problem they would like their business to solve. Students then developed further questions in their groups and used the MISO (media, interview, survey, observation) strategy to decide how they would research and answer these questions. At the same time, they were already busy inquiring into different types of products their business could potentially make. Our local community played a key role in student inquiries. We invited presentations from local experts in sustainability and neuro-marketing, sustainable businesses and NGOs. Students analyzed businesses for their commitment to the triple bottom line (people, planet, profit) and critically discussed the challenges and triumphs of the businesses they investigated. The parents in our community responded with patience, respect and support, helping students with the initial funds to make their businesses viable, and also with the logistics of transporting the products the students had made. The Newton College exhibition Eco-Action Fair was a fantastically rich experience for the students, who had already chosen where they would sustainably invest their profits. It was also (very importantly) a lot of fun for our 10 and 11 year-olds. 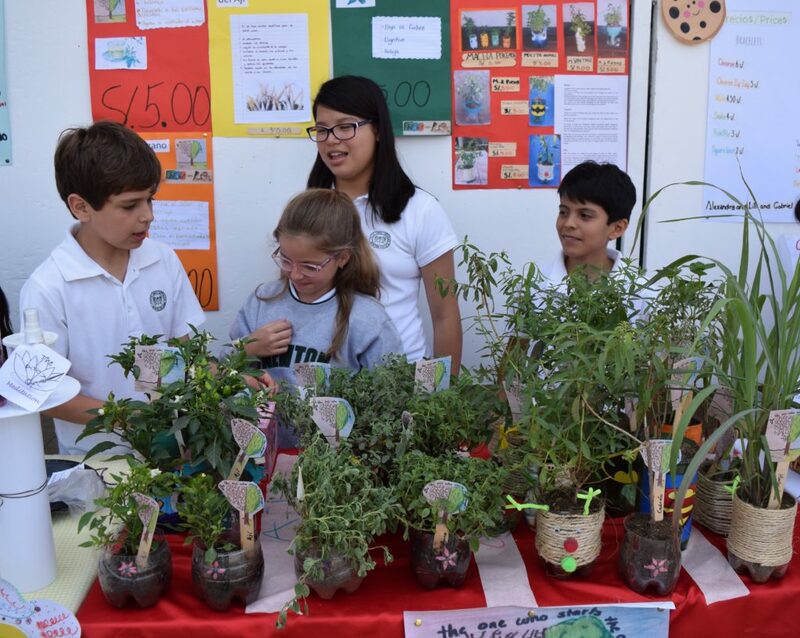 After the fair, students used their funds to support the sustainable project they had chosen. Some donated clothes and toys, others used their profits to buy and plant trees on our school campus, some made video campaigns and many donated their profits to approximately 20 NGOs and charitable organizations in the local community. In preparation for our final presentations, students reflected on everything they had been learning, thinking, doing, experiencing and feeling. 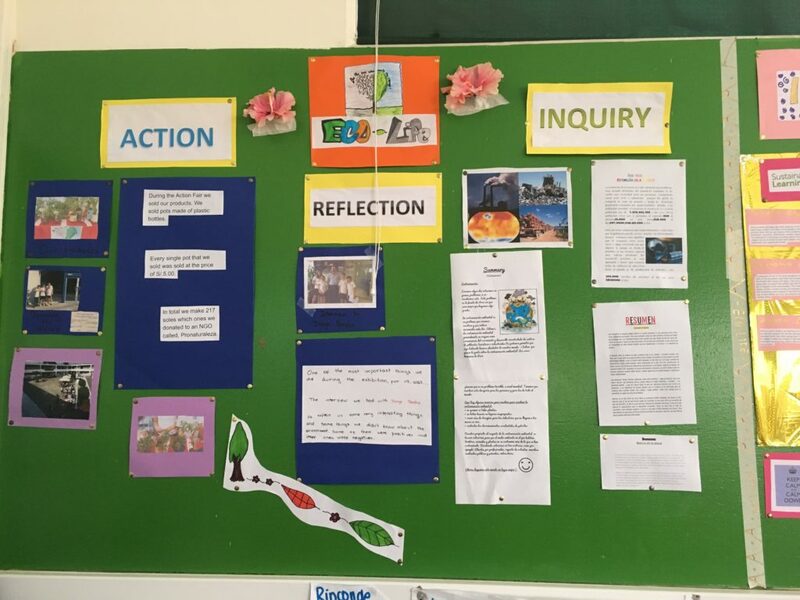 In order to get the most out of the process, it was critical to work with students and encourage them to reflect in particular on their strengths and weaknesses as collaborative, independent, reflective and creative learners, and the ways they worked with the IB learner profile during the process of the PYP exhibition. On the day of the exhibition, students presented their businesses to their parents, sharing their process of inquiry, action and reflection. They showed their place in the world as digital natives with their web pages. They stunned parents with their marketing pitches and pulled on heartstrings with their exhibition reflections and gratitude for the vast number of people who had supported them in the process. For detailed examples of student work, videos and photographs of the Newton College exhibition project please check out my blog here. Cathryn Berger Kaye, M.A. (2014), “Weaving service learning into the curriculum – A dynamic planning process” CBK Associates. 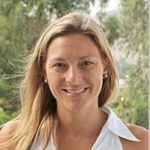 Kat Rymarz is Deputy Head of Lower School and PYP Coordinator at Newton College in Lima, Peru. She is an IB Workshop Leader and School Reviewer for IB Americas. She has worked in international teaching for 12 years and holds a Masters Degree in Instructional Science and School Leadership from Drexel University, PA. This is fabulous, thanks for sharing Kat! Check in also with St Nicholas School in Sao Paulo, Brazil. 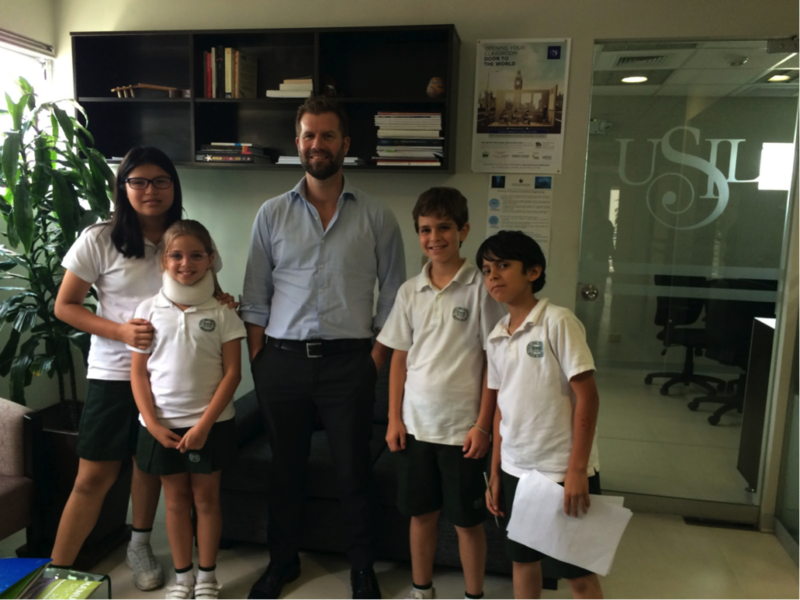 They do something very similar with a Fair Trade unit – mission and logo creation, marketing strategies, meeting with sustainability and marketing experts, prototyping and design etc – in Grade 4/Year 5. It’s definitely interesting to see it done for Exhibition. Keep up the great work Kat and the amazing team at Newton! It’s really important that education for and through sustainability be broken down and made accessible and exciting for primary students, where they can fully participate and engage. Very interesting to see the Scientific Method applied in the early years and integrated in the different disciplines using the IB profile as a guideline. It is always wonderful to help students reflect on their strengths and weaknesses as collaborative, independent, reflective , and creative learners. Fantastic work done by kids nd of course the facilitators Congrats to u all ….. Thanks for sharing this . I love the idea of Authentic transdisciplinary tasks. These give the students a purpose and all work towards the same goal. This is something that we are currently working towards at my school. You mentioned the students learning in Maths, Drama, Spanish, English and Art. Do you have different teachers for these areas? Does this require a lot of collaborative planning prior to beginning the exhibition process? That is a really great and inspiring way of doing the Exhibition! Very rewarding for everyone and so much genuine learning happening in such a fun way!